Looking for awards to celebrate the achievement of some of those who work with children and young people? 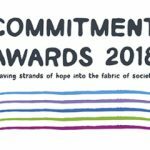 The UK office of an Israeli charity called WIZO (www.wizo.org) has just launched its 3rd annual Commitment Awards which recognises people committed to using their skills and opportunities to address the needs of others. They are looking for individuals who can be of any race, religion or gender and nominations close on Wednesday 31 January 2018 so get your skates on. There are a total of 15 categories but here are some that might be of particular interest: Commitment to Education – Early Years’, which acknowledges an organisation, institution, teaching professional or childcare provider in early childcare and education services. Nominees will have generated exceptional spirit and energy in providing better experiences for children and families and will have made an outstanding contribution to the early years. ‘Commitment to Vocational Training’, which acknowledges an individual, programme or centre for education with a proven record of encouraging and believing in students who cannot easily be integrated into a regular educational framework. The successful nominee will have given students the tools to develop individual talents, reach their potential and to leave school to become skilled employees. This Award recognises a practitioner, programme or facility that has been successful in educating, nurturing or counselling parents, giving them the support and tools to strengthen their parenting abilities and ensure family welfare. ‘Commitment to the Betterment of Others’, which acknowledges an individual aged 16-25 who has given time, selflessly, to make a difference to the lives of those around him/her. Examples could include those who have run fundraising events, worked on community-based projects or made time to leave a mark on someone else’s life. 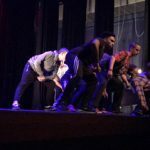 Big names in hip hop, many of them from the highly acclaimed TV show Britain’s Got Talent, have signed up to a benefit night for Autism with Attitude street dance group from Hillingdon Manor School. Autism with Attitude, a talented and successful street dance group based at the Uxbridge school, have made history by being the first ever special needs dance group to get to United Dance Organisations (UDO) European Championships. This year the championships are being held 11-13 May in Kalkar in Germany. The organisers are looking at the logistics, finding a local hotel close to the venue and trying to make sure everything is as calm and organised as possible so that the students, who are all on the autistic spectrum, can give of their best. Some of the students have never been abroad before but they are no stranger to the world of dance performance. They are all highly trained and work hard to build both their physical abilities and their people skills. They know that the staff at Hillingdon Manor School expect them to be ambassadors for autism, showing what young people with disabilities can achieve.